The Environmental and Sustainability Committee is once again calling on volunteers for our semi-annual Adopt-a-Highway cleanup event this spring. We’ve renewed our partnership with MnDOT to keep Highway 100 clean, and look forward to continued success! All of this is made possible thanks to Minnesota Chapter volunteers like you. 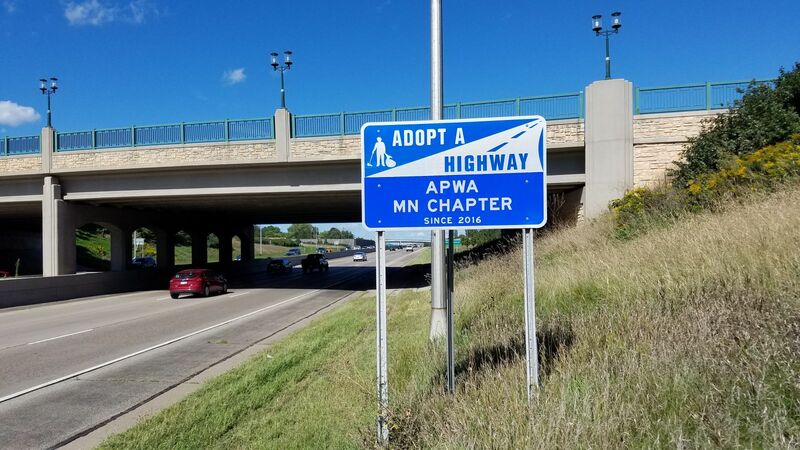 The Adopt-a-Highway program is a simple and social way to do our part to ensure our highways are clean and prevent pollution from entering our storm sewers, lakes, and rivers. Join us on Thursday, May 2, at 1 p.m. in the Cub Foods parking lot at the intersection of 36th Avenue and Highway 100 to kick off the event. We encourage all volunteers and members to join us immediately after the cleanup event for a social hour at Wicked Wort Brewing Company (4165 W Broadway Ave., Robbinsdale). Please contact committee members Michael Ryan (mike.ryan@hdrinc.com) or Ben Scharenbroich (bscharenbroich@plymouthmn.gov) to sign up, or if you have any questions about the event. All volunteers will be contacted prior to the event with additional safety information to review. Thank you and we look forward to seeing you at the cleanup!